In September 2007, after Hamas took over the Gaza Strip, the Israeli government declared Gaza a “hostile entity”. The Security Cabinet adopted a string of sanctions against Gaza’s population, including reductions in the supply of fuel and electricity and various restrictions on the entrance and exit of commercial goods. Restrictions on travel to and from Gaza, which date to the late 80s and the days of the First Intifada, had been progressively tightened throughout the 1990s and intensified further with the implementation of the Gaza “Disengagement Plan” in 2005, were made nearly absolute. Over the years, Israel has lifted some of the economic sanctions against the Gaza Strip, including restrictions on electricity and fuel supply. In 2010, following the Mavi Marmara flotilla incident, most civilian goods were again allowed into Gaza, including everyday items that had been inexplicably banned for years, such as coriander, flowerpots and toys, though restrictions on construction materials remained. In late 2014, after Operation Protective Edge, Israel began allowing limited sale of goods from Gaza in the West Bank, and in early 2015, allowed some items to reach Israeli markets. However, while restrictions on movement of goods to and from Gaza have been altered, severe restrictions on travel of people remain nearly unchanged. Eight years after Israel declared Gaza a “hostile entity”, travel between the Strip and the West Bank is still limited mainly to medical patients and their companions, a quota of approved merchants, and other “exceptional humanitarian cases”. Israel refuses to allow students from Gaza to study in the West Bank, a ban that has been in place since the year 2000. Students from Gaza accepted to programs abroad have difficulty obtaining permits to travel via Israel. Exit for the purpose of attending seminars, conferences and pursuing business opportunities in the West Bank is also limited. Relocating permanently to the West Bank is impossible. Families divided across the Palestinian territory can meet only in the case of a wedding, a life-threatening medical condition or death of a first-degree relative, and even then, the visit depends on the efficiency of the bureaucracy and how magnanimous the people implementing it feel. Given that the Gaza Strip is so small, restrictions on the movement of commercial goods have an immediate, easily identifiable impact. The impact of restrictions on travel of people is harder to quantify. No one keeps a record of how many times siblings got to embrace each other. No institution estimates how many more times a woman from Gaza has left to see her aging parents in the West Bank before they pass away. And yet, the backbone of a functioning, stable society is made up of the immeasurable emotional, practical and financial support rendered by family. 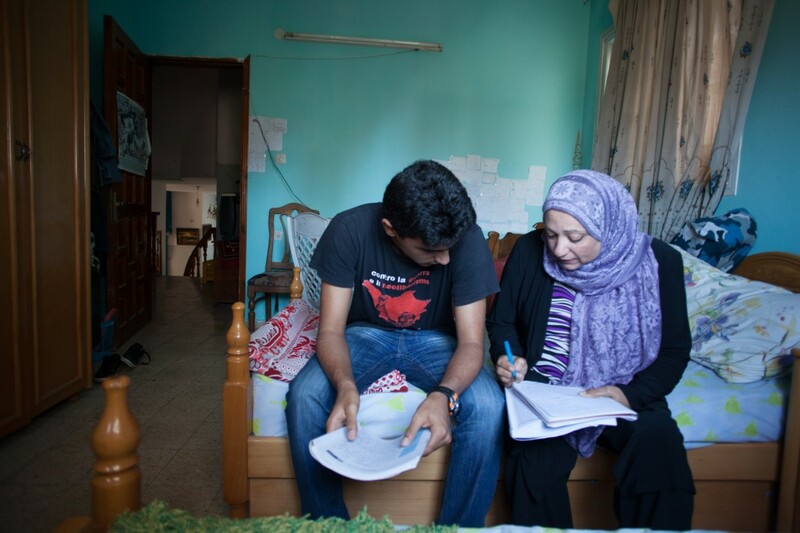 In September 2013, Gisha commissioned a comprehensive survey to examine family ties across Gaza, the West Bank and Israel. Pollsters from the Palestine Center for Policy and Survey Research interviewed 1,270 people in the West Bank and Gaza and found that 26% of Gaza residents have relatives in the West Bank. Seven percent have first-degree relatives in the West Bank. In addition, about 15% of Gaza residents have relatives in Israel and east Jerusalem. In total, some 31% of Gaza residents, more than half a million people, have relatives in east Jerusalem, Israel or the West Bank. The majority of them cannot see these relatives because the criteria for who can receive a permit to travel are too narrow. Occasionally, a grandson may get a permit to visit a dying grandmother, or a woman might be able to go to her brother’s wedding but, for example, a man who wants to mourn with his brother in the case his child passes away would not be eligible to travel. Tens of thousands have to make do with telephone or video calls made possible by services like Skype. This too becomes complicated given Gaza’s faltering electricity supply. Until mid-2013, Gaza residents who had the means to do so could meet their relatives in third countries like Egypt or Jordan, but in July 2013, Egyptian security forces began closing Rafah, the Gaza-Egypt border crossing, with increasing frequency. The crossing now operates only several days each month. Even those who make it onto the waiting list to travel, which regularly numbers in the thousands, cannot be certain when they might travel and, no less disturbing, if and when they might be able to return. Family events, be they sad or happy, amplify the absence of loved ones. What every free person takes for granted – a weekend with grandparents, a cousin coming by to help fix a bike, a family huddle to solve a complicated problem – is out of reach. Family ties are inexorable, and, as the years of separation between Gaza and the West Bank have shown, the longing to see relatives endures. The separation policy, as a tactic meant to undermine the Hamas regime in Gaza or a mechanism purported to serve security, has failed. The terrible suffering brought about by the policy has no justification, neither on geopolitical nor on security grounds, and the arbitrary lifting of some restrictions at various junctures over the years is testament to this. This project tells the everyday stories of families split between the West Bank and the Gaza Strip who have generously agreed to allow us a glimpse into their lives. To the observer of these images, the lives depicted within seem normal enough, but just below the surface lies the constant ache of longing for a parent’s touch, a grandchild’s hug, or the encouraging presence of a sister. The three families are divided, in each of these cases, because a woman joined her husband in the other part of the Palestinian territory and was thus separated from her parents, siblings, nieces and nephews and other friends and family. Israel’s restrictions on travel thus compound an already difficult situation women face by making a woman’s journey to leave her home effectively a one-way street. Nisreen, 36, met her husband, Issa, in the West Bank, when he came to buy merchandise for his Gaza clothing store. The two hoped to remain in the West Bank after the wedding, with Nisreen’s family, but knew that Issa did not meet Israel’s criteria for doing so. 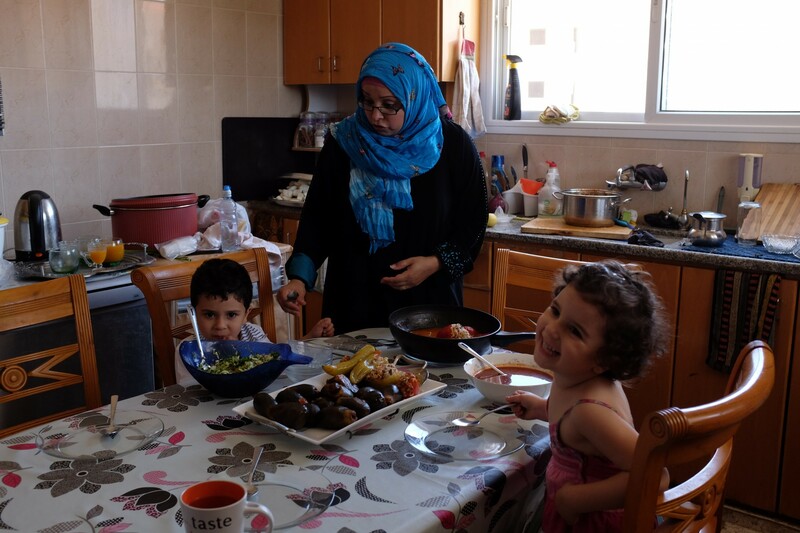 In January 2011, Nisreen decided to move to live with her husband in the Gaza Strip. They belong to the small Christian community in the Strip. Nisreen has a bachelor’s degree in social work and psychology and a master’s in democracy and human rights. A few months after she moved to Gaza, in August 2011, she was hired by Handicap International and was quickly promoted to the position of international outreach coordinator. Compared to many others in Gaza, Nisreen is “lucky”. She has managed to see her family three times since the move (though, one of those times, the journey, through Egypt and Jordan, took about a month each way). The separation from her family has been hard on her. When she was hospitalized in Gaza, only her sisters-in-law in the Strip were there to accompany her. Her mother had knee surgery in the West Bank and Nisreen could not visit her. In mid-2013, Egypt began closing Rafah Crossing more often, and Erez became the main gateway out of the Strip. Nisreen depends on the goodwill of the Israeli authorities to grant her a permit, though officially, her presence in Gaza is unlawful and a visit to the West Bank is against protocol. 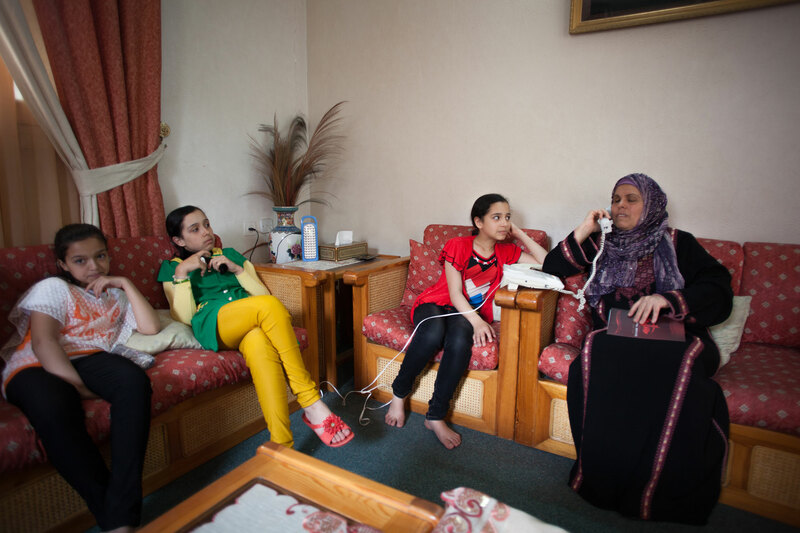 Nisreen and her mother talk on the phone every morning before going to work, and every evening when they come home. But Katreen has only managed to visit her daughter once, in 2011, after she entered Gaza through Rafah. She dreams Nisreen will be able to visit her more often. Nisreen and her mother don’t know if Israel will allow Nisreen to attend her brother’s engagement party or come for her father’s birthday. They don’t know whether Nisreen will be able to come to her niece Jazeel’s birthday party. She’s three and very close to her aunt. “Jazeel asks me about Nisreen a lot, and about when we’ll be able to see her again”, says Katreen. “She says ‘I’ll count to a hundred and my aunt will be here’. I never know what to tell her”. * After Operation Protective Edge, and after they were photographed and interviewed for this project, Nisreen and Issa traveled through Rafah Crossing to Belgium for medical treatment. They are still there. They left their dog with Issa’s sister in the Gaza Strip. Nisreen talks to her parents on the phone every day. “There’s no way Nisreen is going back to the Strip. That’s it”, her mother says fervently. 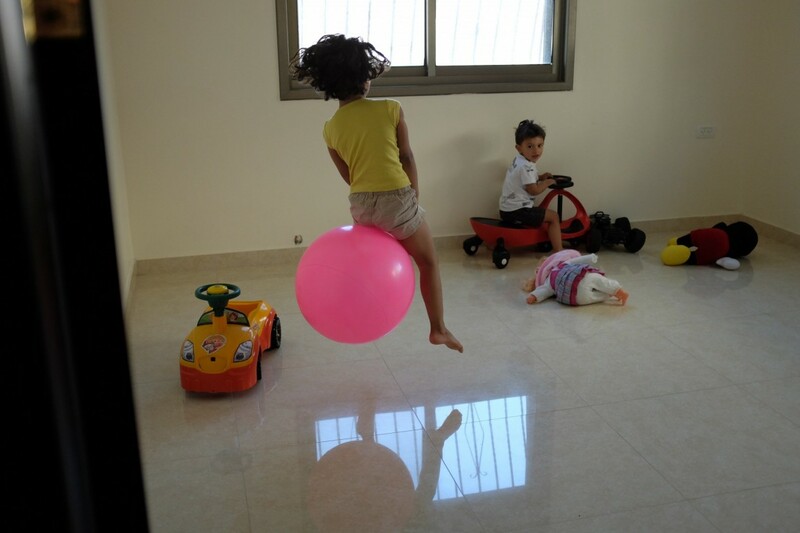 Nisreen and Issa are hoping to get a permit to enter the West Bank once the treatment is over. If they don’t, they plan to try to stay in Belgium. Katreen Siras, 57, works at the Salesian Monastery in Bethlehem. Ibrahim Odeh Siras, 61, works in construction. Their daughter, Nisreen’s sister, Abeer, 29, works at a factory that produces olive-wood and clay souvenirs. She is married and has a young daughter. A brother, Odeh, 28, works for the Bank of Palestine. Another sister, Niveen, 23, is in the United States, where she completed a PhD in Old Testament theology and is now in training towards being ordained as a minister. Another sister, Suha, passed away from cancer at age 28. 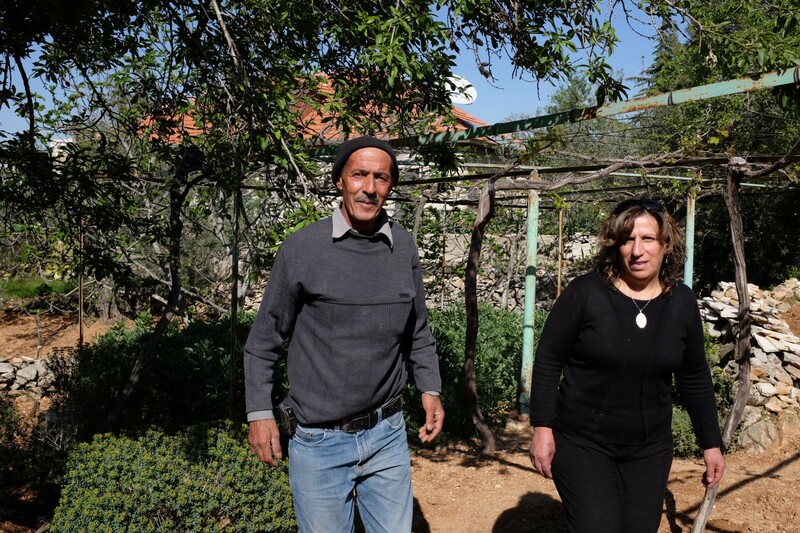 The last time Katreen saw her daughter was in 2013, when she visited Beit Jala. Nisreen’s brother is about to get married; her niece misses her; her father’s birthday has come and gone, but the family doesn’t know if and when Nisreen will get a permit again. Nisreen has always been the center of the family, says Katreen. She is a generous and thoughtful person who puts the happiness of everyone else in the family before her own. When her sister Suha got cancer, Nisreen was supposed to move to Gaza with her husband. Instead, she sat by her sister’s bed in the hospital day and night until Suha passed away. The family had a particularly difficult time during Operation Protective Edge. Everyone was glued to the news, trying to get every tidbit of information about the situation and worried for Nisreen. But even everyday life, without a war, is hard enough. Katreen is tired of going to the army’s District Coordination Office to ask for a permit to visit her daughter. She had knee surgery and walking is hard. Every year, she asks for a permit for Nisreen to come to Jerusalem for the Christian holidays, but Nisreen never received a permit. One family event is followed by another and Nisreen is not there. She couldn’t make it to the house-warming party the family threw for her engaged brother in 2013. Her brother Odeh postponed his wedding, in the hope his sister would have more time to arrive. In the meantime, Katreen talks to her daughter twice a day via Skype and Facebook. “We want her to be happy, live comfortably and we want her to be able to visit us whenever she feels like it”, says Katreen. Nasser Yaghi, 59, is a physics teacher at a Gaza high school. In 2013, Alaa, one of his five children, left Gaza with her husband and two young children. Nasser has not seen his daughter, his son-in-law and his grandchildren since. Nasser completed a bachelor’s degree in physics in Egypt in 1980. He worked in the country for fifteen years. The situation in Gaza back then, he says, in the late 1990s, was much better than it is today. Salwa, Nasser’s wife, is a science teacher. All five of their children are now grown: Mohammed, 32, Alaa, 30, Ahmad, 28, Rawan, 22, and Khaled, 19. Five years ago, Alaa married Adham, 35, who works for the Palestinian Authority. 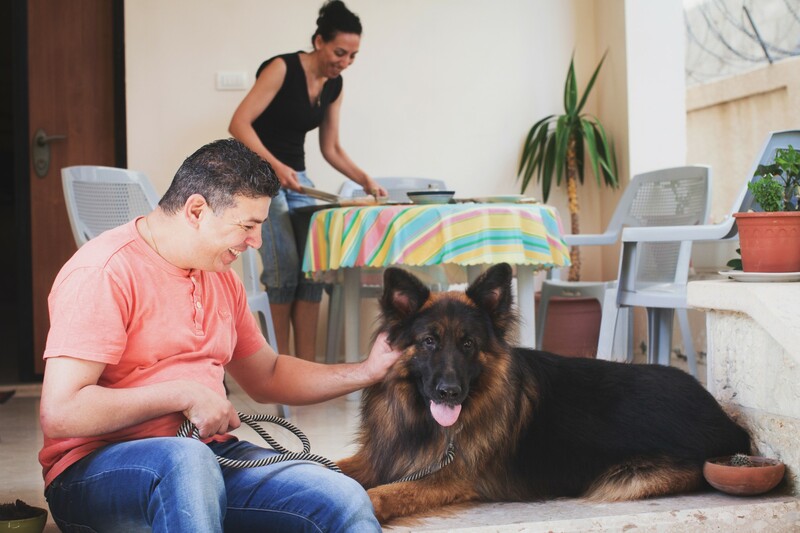 In early 2013, the two decided to move to the West Bank with their children, to be close to Adham’s parents. The couple had to choose between Alaa’s parents and Adham’s. Since the latter were undergoing medical treatment in the West Bank, they decided to move close to them. Alaa hasn’t been able to get a permit to visit her parents since the move. Her parents have not tried because they know they do not meet the criteria. Alaa wasn’t there when her sister Rawan was accepted to Oxford University, and missed her going away party. Alaa’s brothers are to be married over the summer, and the family fears Alaa will not receive a permit to enter Gaza. With one daughter overseas and another beyond the Erez Crossing, Nasser says, “everything is harder now. A home without girls is a home without a soul”. Alaa, now 30 years old, moved to the West Bank with her husband Adham, 35, and their two children, Inas, 6 and Abed Al-Rahman, 4. Adham worked for the Palestinian Authority in Gaza for many years, even after Hamas took over the Strip in 2007. In February 2013, Israel allowed Adham to enter the West Bank. His parents were undergoing medical treatment at the time and he wanted to be near them. Three months later, Alaa and the kids joined him, leaving Alaa’s parents and siblings behind. It’s very rare that Israel allows Palestinians from Gaza to relocate to the West Bank; if it does happen, getting a permit to go back to visit the friends and family left behind is uncommon too. Ever since they moved to the West Bank, Alaa has not been able to get a permit to visit her family in Gaza. Even when her sister Rawan came to Jerusalem for a visa interview at the British Consulate, Alaa was not able to see her because she did not have a permit to enter Jerusalem and Rawan did not have a permit to enter Ramallah. She has seen her brother, Mohammed, who has a merchant permit and sometimes goes to the West Bank on business. Her parents have not even tried to get a permit knowing that they do not meet the criteria for doing so since no one is getting married and thankfully no one is terminally ill. 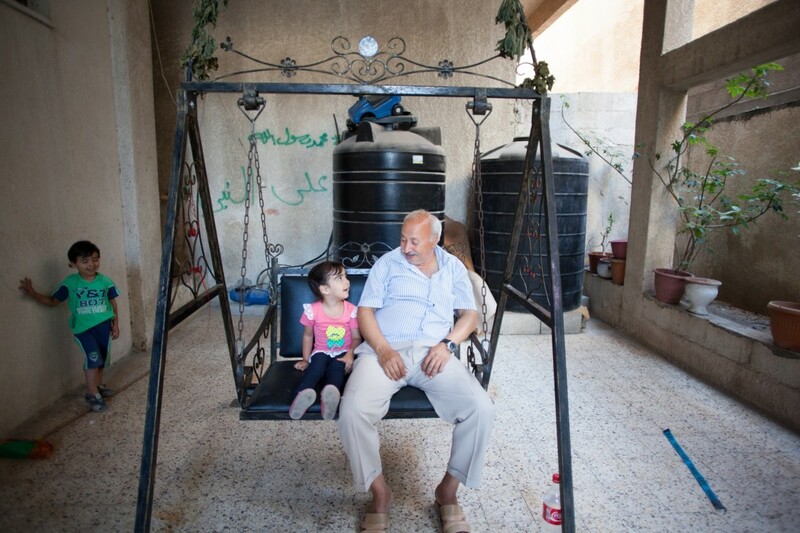 They haven’t seen their daughter, son-in-law or young grandchildren ever since Alaa left Gaza. They talk every night, on Skype or on the phone. Alaa’s daughter, Inas, took a while to adjust to her new home and school, and to the new cousins she had never met. She’s old enough to understand that she cannot visit her grandparents, but she still remembers them and keeps asking her father to get her a permit so that she can see grandma and grandpa, and the sea, again. Yusra Abu Sido is 60 years old. Her eldest daughter, Samah, left Gaza to live with her husband in the West Bank in 2007. Yusra has seen her only twice since then. She and her husband, Abed Abu Sido, 62, did not attend their daughter’s wedding. They couldn’t visit Samah when she gave birth to her two children, their grandchildren. Samah didn’t get a permit to attend her brother’s wedding in Gaza in 2008. Yusra and Abed Abu Sido were married 39 years ago. Abed was a glass merchant. Their eldest daughter, Samah, was born a year later and Yusra took a job as a teacher in a Gaza elementary school. She taught for 12 years, until working outside the home while simultaneously caring for her eight children at the same time was no longer feasible. Abed’s glass business didn’t survive the closure. Samah’s parents were eager to meet their daughter’s fiancé before the wedding, but were denied a permit to enter the West Bank, and Raed was denied a permit to enter Gaza to meet his future in-laws. Since they couldn’t meet with him, they asked friends and colleagues at the university where he taught about him. Finally, they asked Samah’s uncle, who had a merchant permit, to meet Raed in Ramallah so they might get a sense of her husband-to-be. Yusra, who has never left the Palestinian territory, visited the West Bank in 2011, when she accompanied her son, Ahmad, for a series of medical treatments at a hospital in Jericho. Ahmad had been injured during internal clashes in Gaza in 2008, and spent two years in an Israeli hospital for treatment. His father, Abed, went with him. From there, Ahmad went to Jericho for rehabilitation. 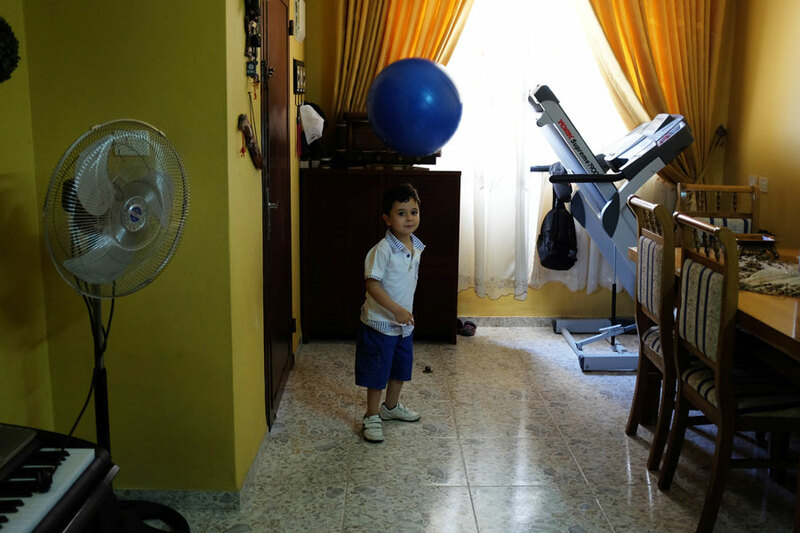 When Yusra went to be by her son’s side, she saw not only Samah and Ahmad, but also her husband, who had stayed with Ahmad during his treatment in Israel. She also met her grandchild, Samah’s son, born three months earlier, for the first time. When Samah became pregnant again, Yusra could not get a permit to visit her. Samah and her mother met one more time, in December 2014. Samah had hoped to get a permit to enter Gaza to attend her brother’s wedding. She received it two weeks after the wedding. Yusra and Abed talk to their daughter on the phone and via Skype. They say it helps them a bit to temper the longing to see her. Yusra dreams of a safe passage that would allow her to see her daughter and grandchildren whenever she wished. In early 2015, Abed was able to get a merchant permit and has since visited Hebron, though he didn’t manage to meet with Samah. He has been trying to get a permit for his wife as well, but so far, has been unsuccessful. Samah, 38, originally from Gaza, lives in Jenin with her husband Raed, 44, and their two children, Abed Al-Rahman, 5, and Zina, 3. Samah is a project coordinator with World Vision. Raed, originally from the West Bank, teaches at Al Quds Open University. Samah and Raed met in Ramallah. After Samah studied nursing at the Islamic University of Gaza, she got a job as a nurse at the Jordanian Hospital in the Strip, and then with the international organization Action Against Hunger. Thanks to her job with the organization, Samah managed to get a permit to attend a conference in Ramallah where she met and fell in love with Raed. She was certain she wanted to spend the rest of her life with him and moved to the West Bank. Shortly after that, Hamas took over the Gaza Strip and Israel tightened restrictions on movement to and from Gaza. Samah’s parents were not able to attend the couple’s wedding and they have never visited her home. Samah is a trained nurse, but now works as a project coordinator with the international organization World Vision. Her husband, Raed, has a master’s degree in information technology and electrical engineering. None of Samah’s relatives attended her wedding, and Samah and her husband did not attend her grandfather’s and cousin’s funerals in Gaza. They missed the birth of her nephews and her brother’s graduation party. During the first few years after she moved to Jenin, Samah was afraid to leave the city because she was listed in the Israeli-controlled Palestinian population registry as a Gaza resident. She feared that if caught, the Israeli authorities might remove her to the Strip. A few years ago, she managed to change her registered address to the West Bank thanks to a rare political gesture. She has seen her mother twice since she left Gaza. In 2011, they met when Yusra visited Samah’s brother, who had been injured in internal clashes between Fatah and Hamas and was undergoing rehabilitation in Jericho. In 2013, Samah went to Egypt, hoping she could enter Gaza through Rafah Crossing, but the Egyptian authorities closed the crossing and Samah didn’t manage to enter. She ultimately applied to the Israeli authorities for a permit, hoping to attend her brother’s wedding. The permit came late and Samah entered Gaza two weeks after the wedding in late 2014. This project was made possible thanks to the support of the Rita Poretsky Memorial Fund. Gisha also wishes to thank our other supporters and donors whose contributions and commitment make our work possible. If you wish to contribute, please click here.